The World Symposium. Under the label of ICCCS, one of their member societies organises the bi-annual world symposium on contamination control. This symposium offers the latest new developed and scientific knowledge on contamination control. 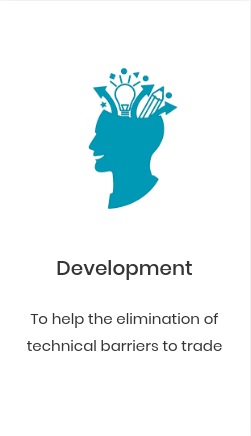 The presentations by experts from all over the world, support the discussions and transfer of this new knowledge. Member societies supports the symposium by giving effort that their their leading persons and organisations will submit papers and exhibit. 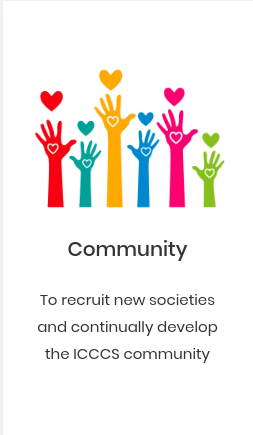 The website opens worldwide the connection to all websites of the member societies. 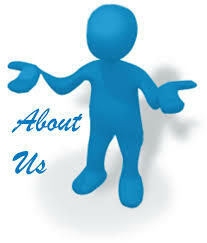 The website also gives the names, addresses and secretaries and other information of all her members. The website contains the global forum on contamination control. People can ask any question to colleagues who have the possibility to respond. Experts visit this forum periodically to give answers. ICCCS has a formal liaison status to ISO Technical Committee 209 – which develops the world standards for Cleanrooms and associated controlled environments. ICCCS has a formal liaison status to CEN Technical Committee 243 – which develops the European standards for Cleanroom Technology. This means that ICCCS is involved in the discussions about developed documents and that ICCCS has a formal vote on new work items. Members of the Standing Committee of ICCCS are involved in the technical committees and in the various working groups of the ISO and CEN standards. They follow the development of documents closely. ICCCS coordinates and promotes the publications of the developments of the various documents in all magazines where contamination control is a important issue. ICCCS also requires her member societies to have workshops or small symposia where these new standards can be discussed. It coordinates, when wished, the availability of experts to support these meetings. 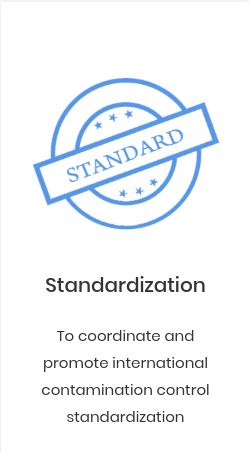 Due to the activities and networking of people within ICCCS Standing Committee, it is possible to co-ordinate the national existing standards to international accepted documents, and help to eliminate barriers between countries and continents. The ICCCS has demonstrated also on this subject that it functions as The Global Organisation for contamination control. ICCCS promotes, where possible, the already established international standards, to be used in International commercial design and production, in regulations (GMP), and a base for recommended practices. 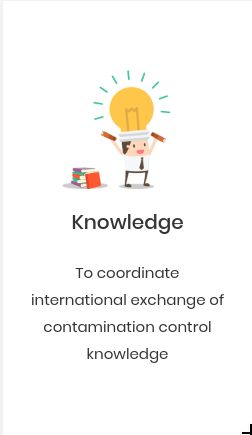 Everywhere, when there is a possibility to organise the contamination control activities in a country, members of ICCCS support this activity and let the new society enter in the ICCCS. ICCCS provides a network for specialists in cleanroom and contamination control.